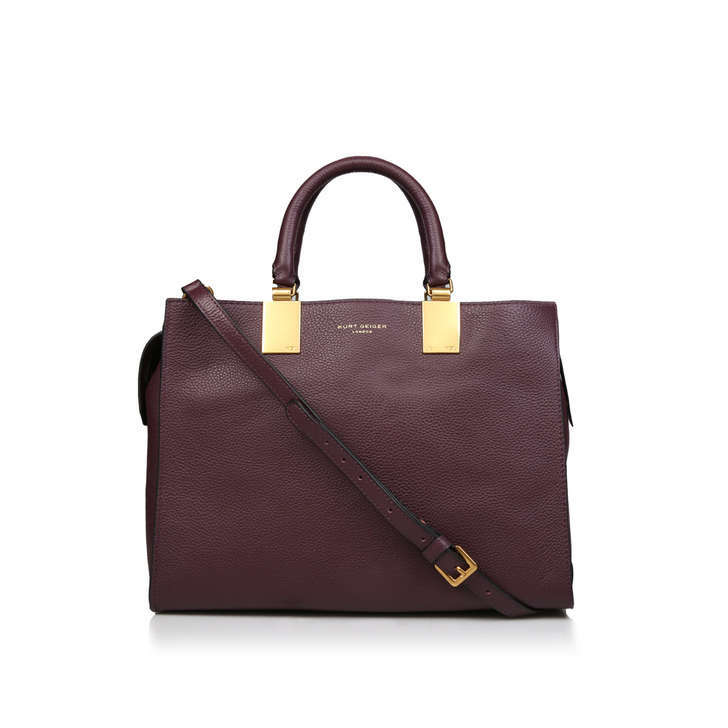 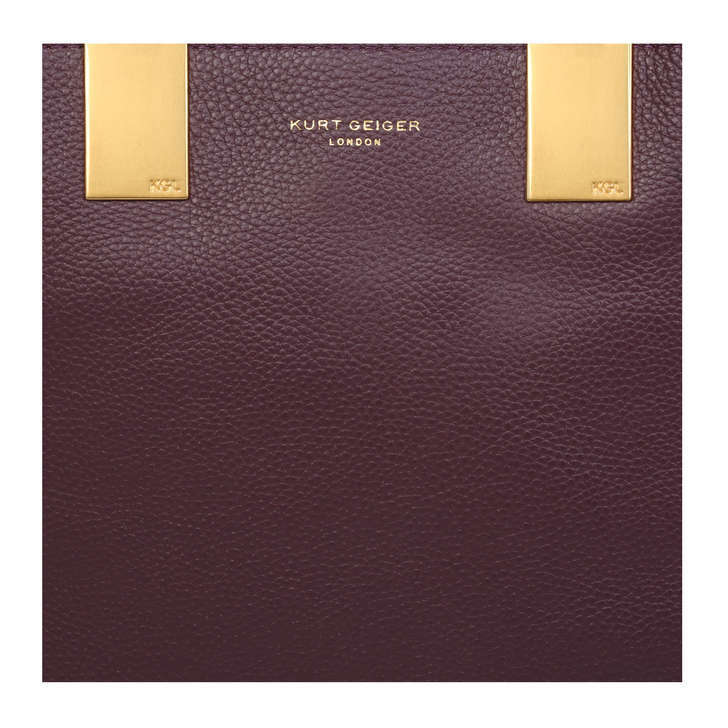 Leather Emma Tote by Kurt Geiger London is constructed in soft wine leather that goes with just about everything. 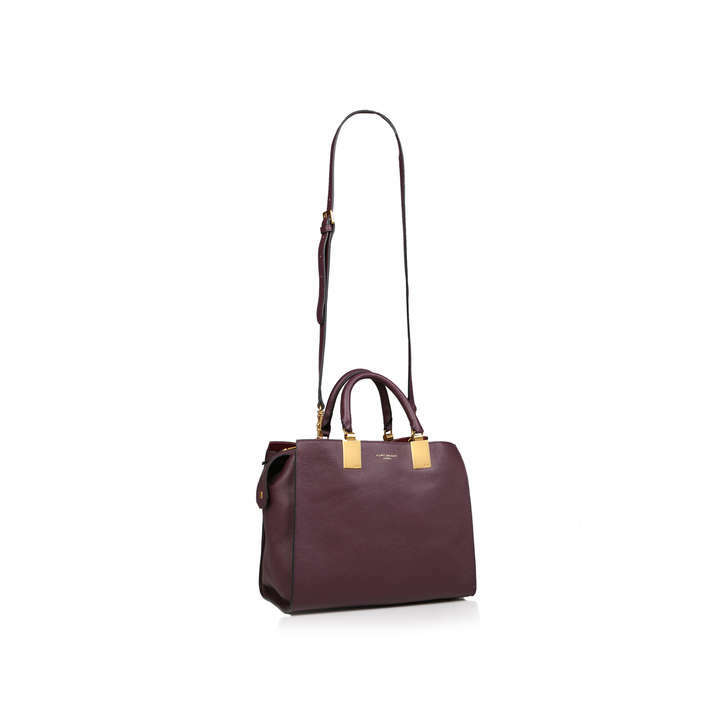 Featuring twin handles and a detachable shoulder strap, this chic design is finished with gleaming gold-effect hardware. 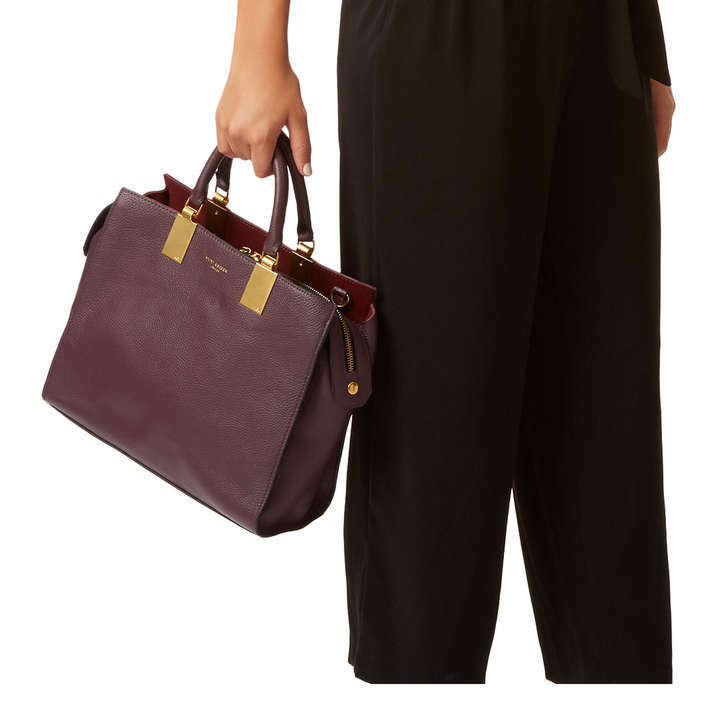 Height: 24.5m Width: 30cm Depth: 14cm.